Never one to leave you in the dark! With a simple touch of any part of the metal arm or base, the user can turn "on" the power and adjust the brightness to low, medium, high or "off". Melrose is the ultimate combination of function and modern elegance. 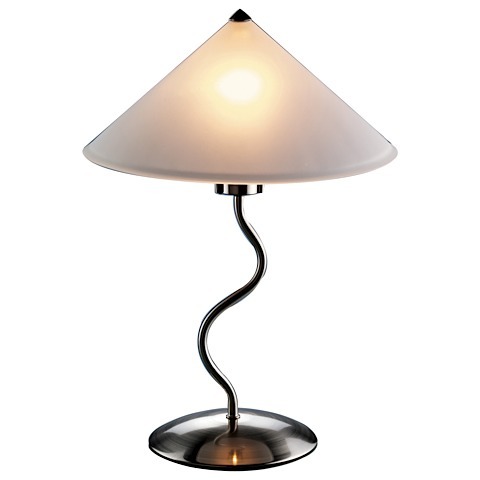 Features a satin glass shade with a brushed metal base. Requires one 40 watt bulb; not included.